Suffering from Jaw Pain? Could TMD Be to Blame? If you have been diagnosed with TMD, or suspect you may have issues related to your Tempormandibular Joints, your dentist may be able to help. 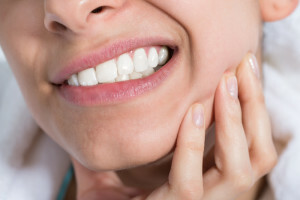 Common symptoms of TMD include soreness or stiffness in the jaw or neck, pain or clicking noise in the ears, particularly when opening the mouth, an inability to open the mouth widely or pain when trying to do so, headaches, and even teeth grinding. In some cases, an oral appliance could be recommended to help prevent the teeth grinding, but this alone cannot address the other symptoms of TMD. Botox, however, can help to relax the muscles that are tensing up and causing you discomfort. Botox is administered by an injection, the results of which can be almost immediate. They also can last up to several months, making it possible for some patients to effectively treat their TMD with only a few visits to the dentist each year.